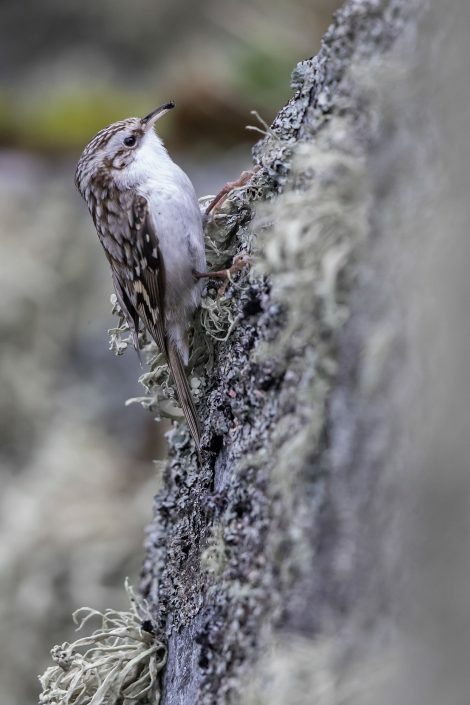 The Eurasian treecreeper is a small passerine bird also known in the British Isles, where it is the only living member of its genus, simply as treecreeper. 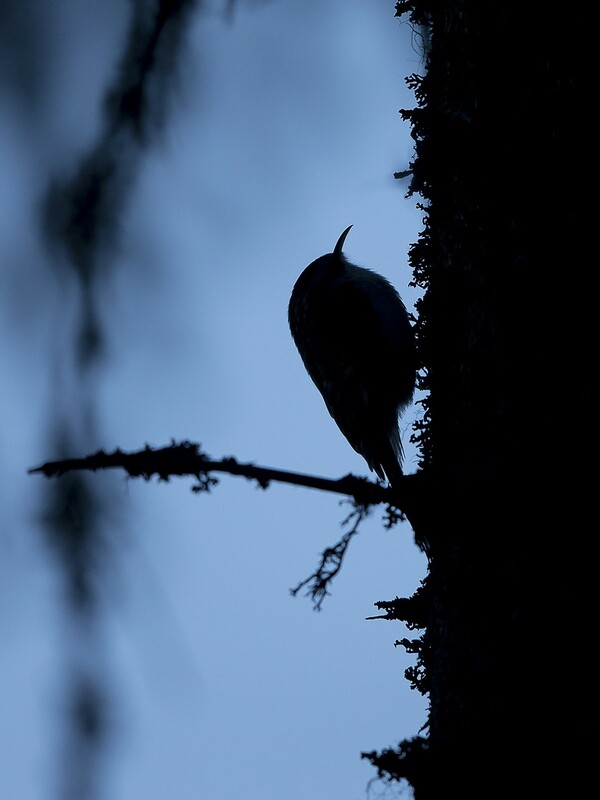 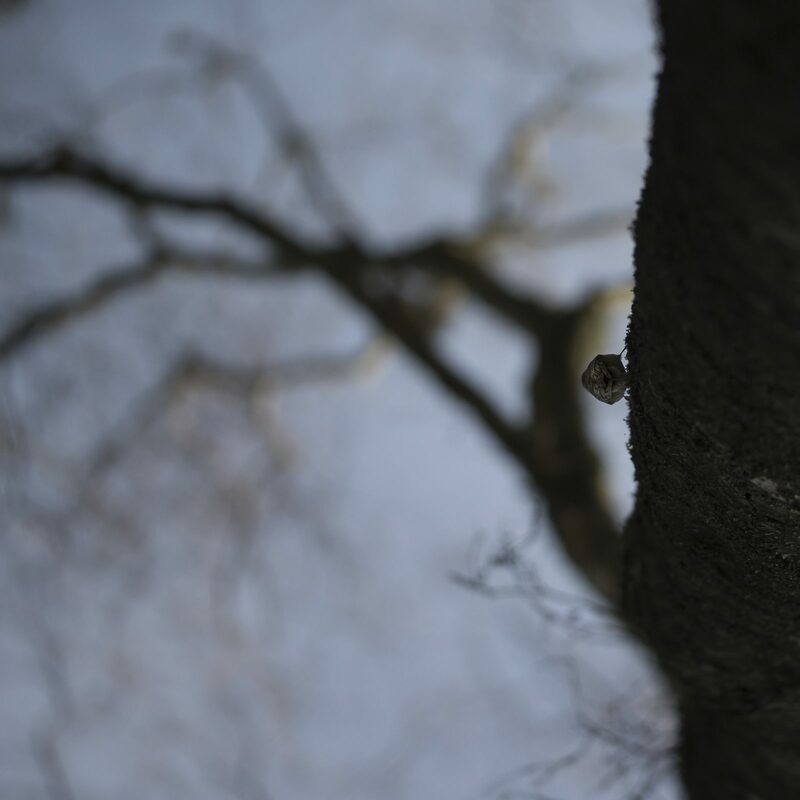 It is similar to other treecreepers, and has a curved bill, patterned brown upperparts, whitish underparts, and long stiff tail feathers which help it creep up tree trunks. 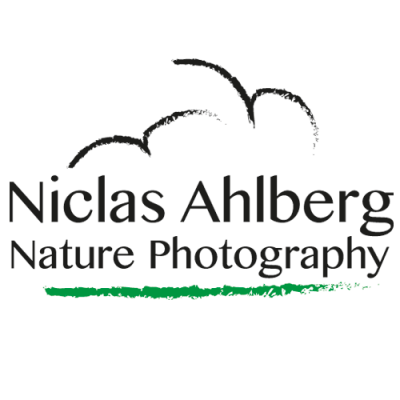 It can be most easily distinguished from the similar short-toed treecreeper, which shares much of its European range, by its different song. 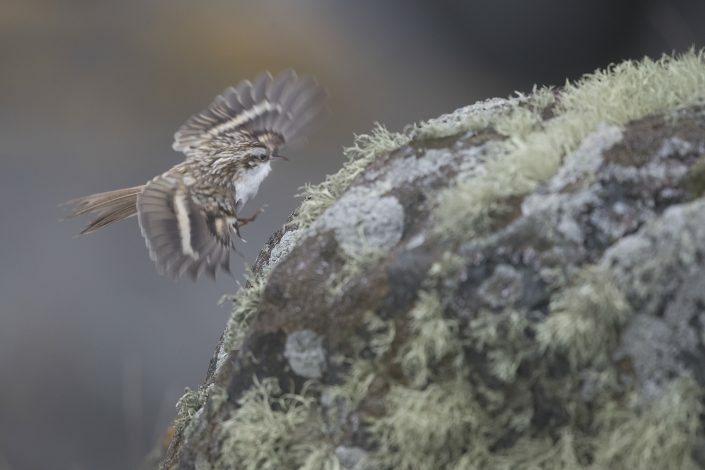 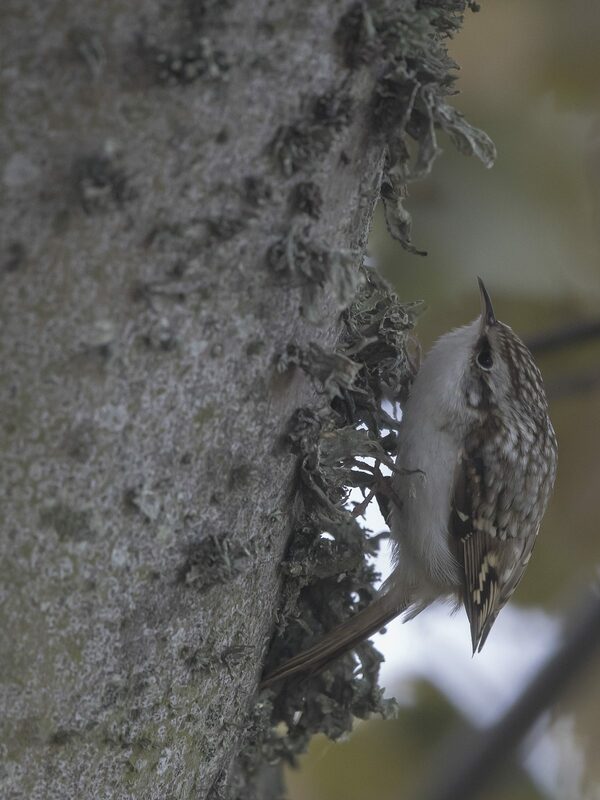 The Eurasian treecreeper has nine or more subspecies which breed in different parts of its range in temperate Eurasia. 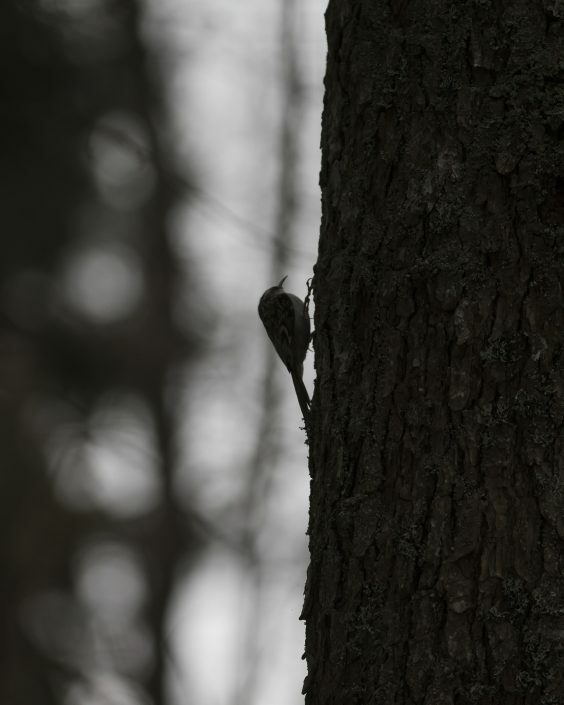 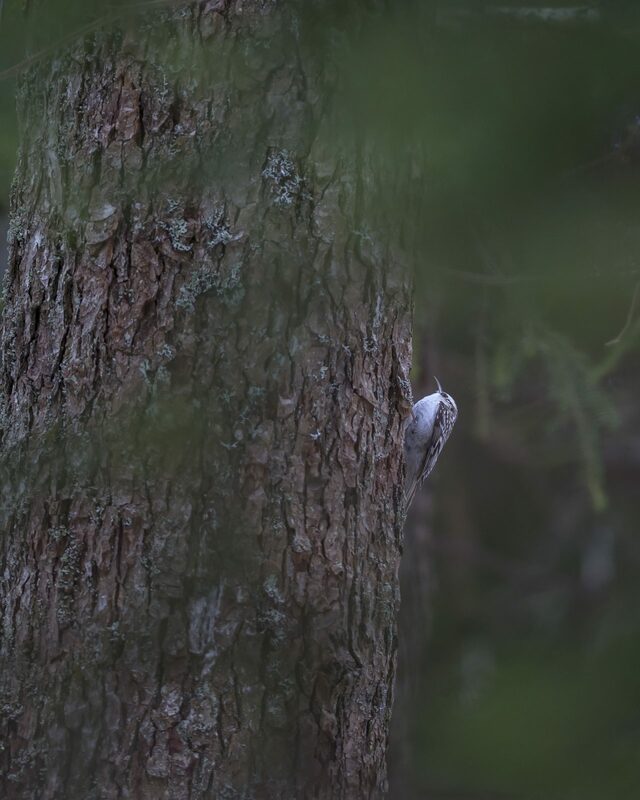 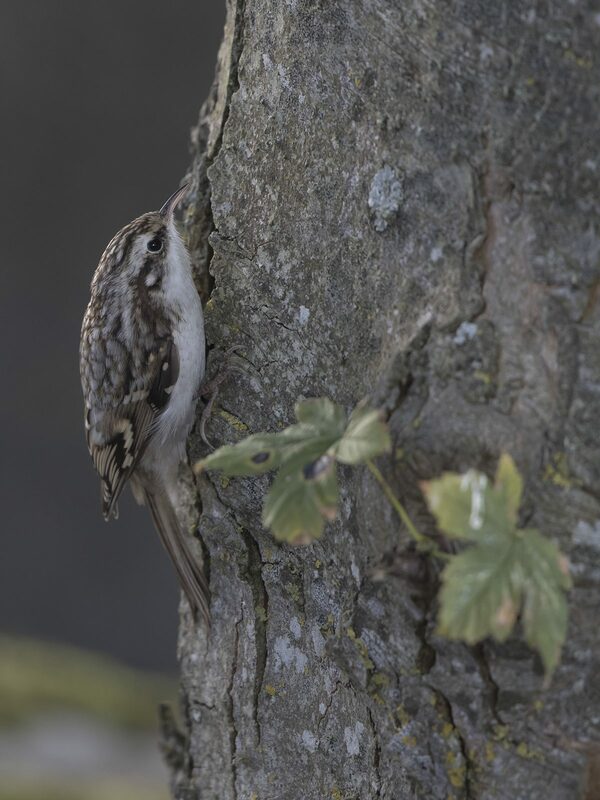 This species is found in woodlands of all kinds, but where it overlaps with the short-toed treecreeper in western Europe it is more likely to be found in coniferous forests or at higher altitudes. It nests in tree crevices or behind bark flakes, and favours introduced giant sequoia as nest sites where they are available. 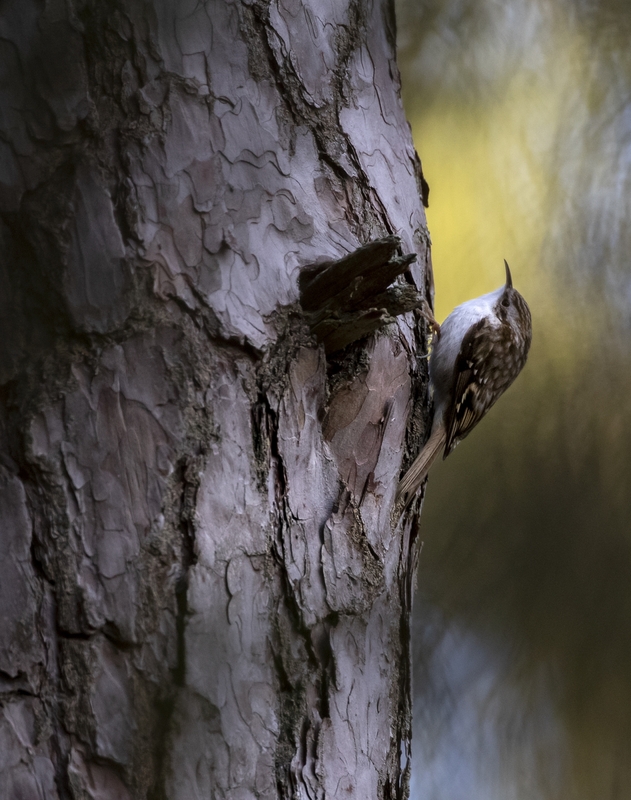 The female typically lays five or six pink-speckled white eggs in the lined nest, but eggs and chicks are vulnerable to attack by woodpeckers and mammals, including squirrels. 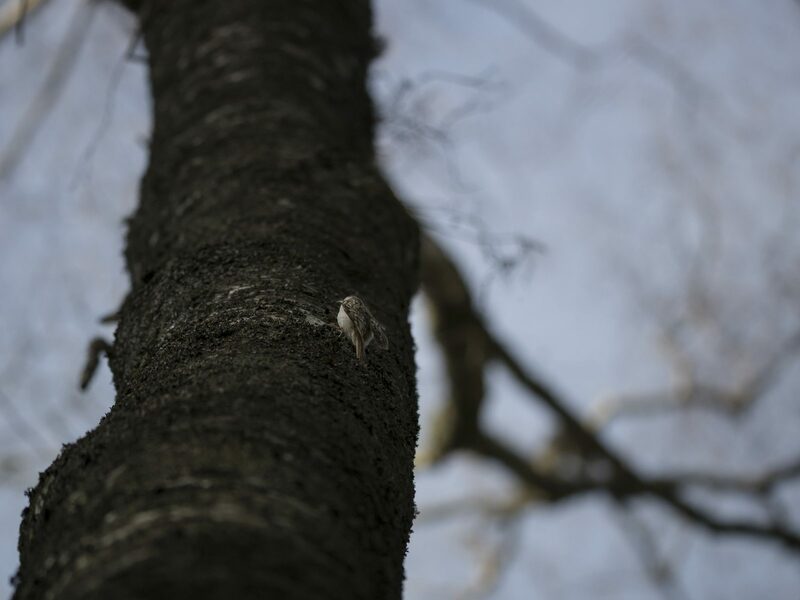 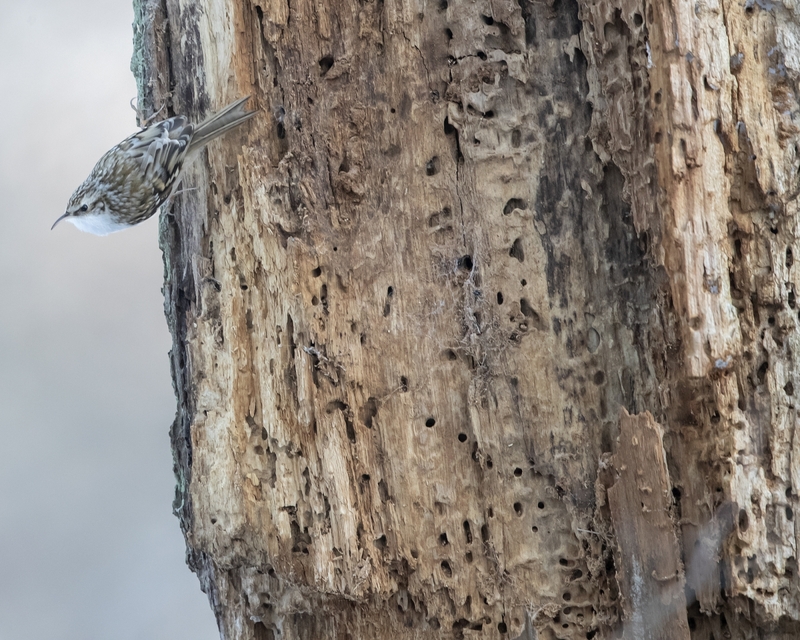 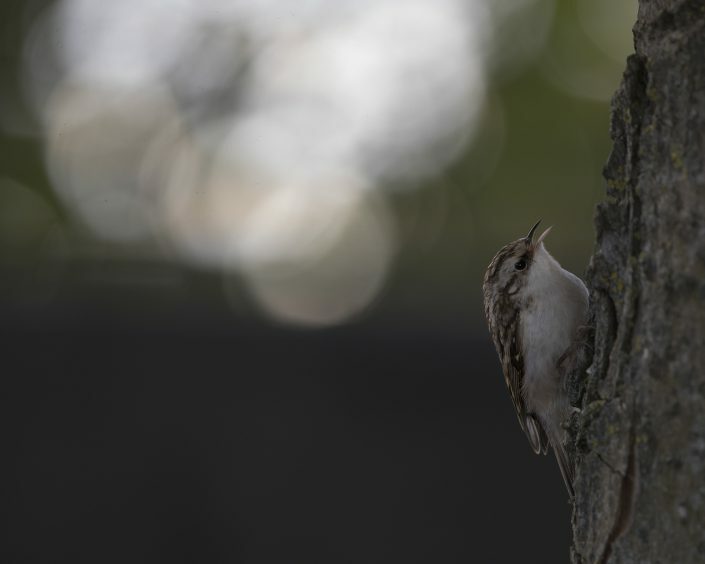 The Eurasian treecreeper is insectivorous and climbs up tree trunks like a mouse, to search for insects which it picks from crevices in the bark with its fine curved bill. 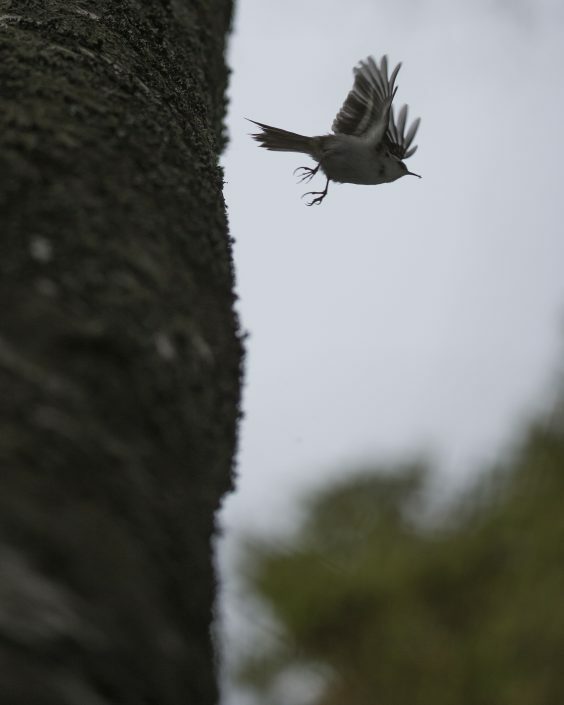 It then flies to the base of another tree with a distinctive erratic flight. 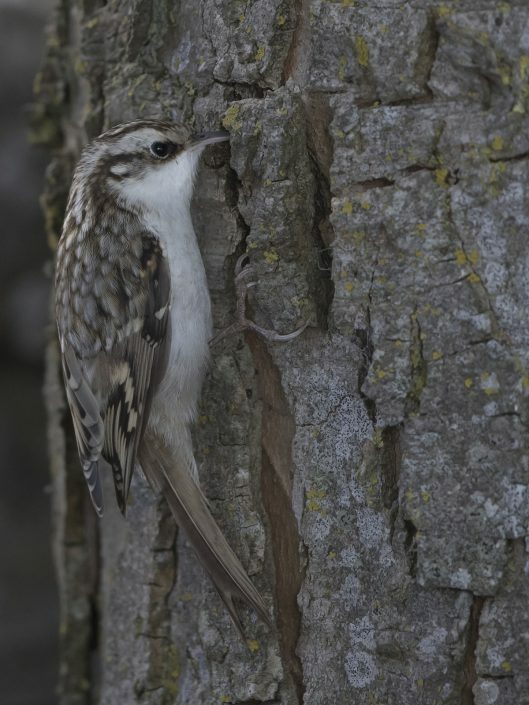 This bird is solitary in winter, but may form communal roosts in cold weather.